A few weeks ago I shared how I was taking the RoC® RETINOL RESOLUTION so I would be ready to rock the holidays with a smoother and younger looking face. 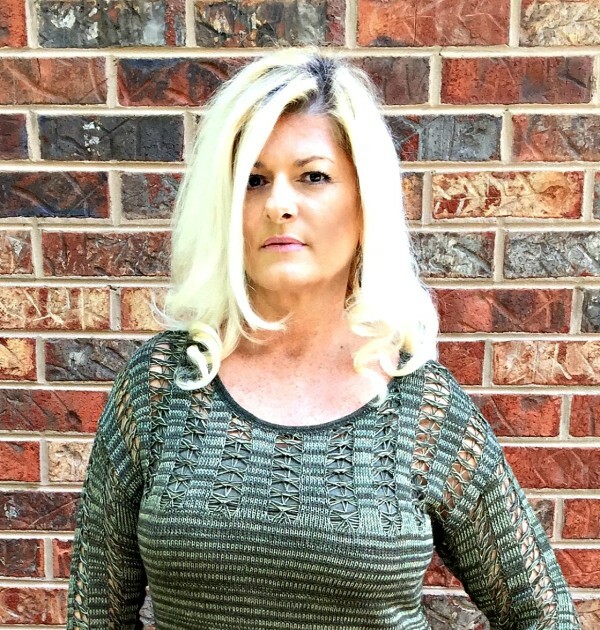 Who wouldn’t want to look younger, especially if looking younger didn’t mean going through surgery, needles, and wiping out your bank account? The last month hasn’t been the easiest month for me and stress definitely shows on my face. I’m very thankful I had started my RoC® RETINOL RESOLUTION to curb the worry lines that would have otherwise shown on my face. 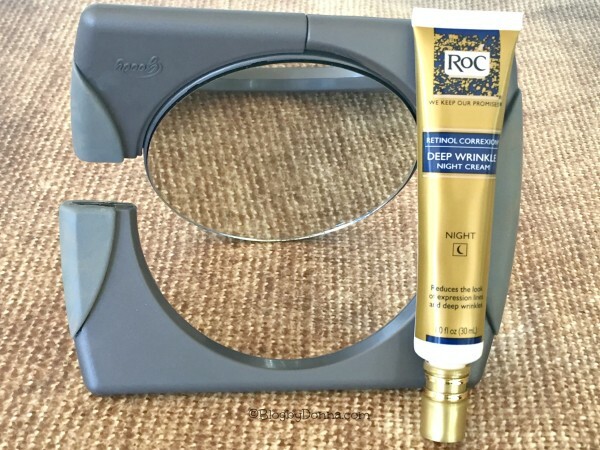 I started using RoC® RETINOL CORREXION® Deep Wrinkle Night Cream the night of October 20th and I did feel a slight tingling the first two nights, but that was it. I experienced no redness, breakouts, or irritation from using the night cream. In fact, my experience with RoC® RETINOL CORREXION® Deep Wrinkle Night Cream has been positive. The biggest change and the one I was really hoping for is with the lines on my neck. Because I don’t care what you do to your face, your neck will show your age. It just will. And for most of my life I never really thought about my neck. I never applied moisturizers or sunscreens to my neck. I either would forget or not give it any thought at all, really. For the past month, I’ve been applying RoC® RETINOL CORREXION® Deep Wrinkle Night Cream to my face and neck. To refresh your memory about the product and the resolution check out my last post about it here. BEFORE: I had deep lines on my neck and one deep line on the left corner of my upper lip. 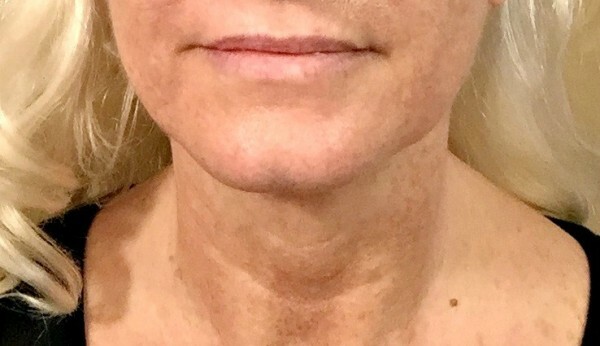 AFTER: The lines on my neck are much less pronounced and the line above my lip is all but gone. Okay, I couldn’t show photos of my bare-skinned closeup wrinkled neck without sharing a recent photo with makeup on. Yes, I’m that vain. 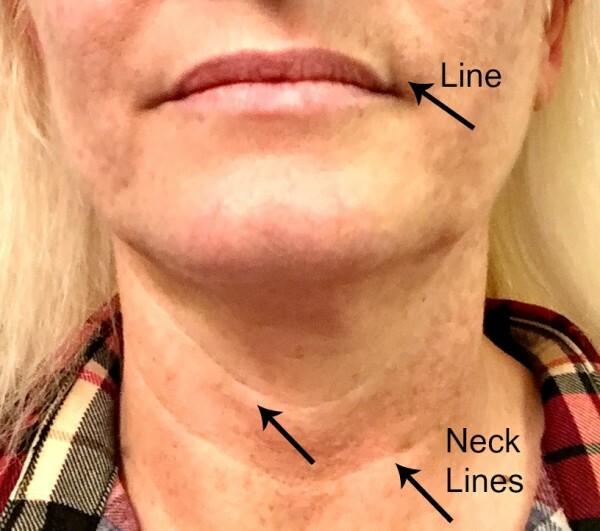 (I still have lines on my neck, but there is a huge difference. The lighting and not being up close, you can’t see them, though. I’m picking up another tube of RoC® RETINOL CORREXION® Deep Wrinkle Night Cream this weekend. I’m definitely making it my nightly routine. If I’m getting these results after just a month, think about the results I’ll get with continued use. Will you be taking the RoC® RETINOL RESOLUTION with me? I have always heard great thing about this. I have been wanting to try it myself. wow you can definitely see the difference!I actually have this product but stopped using it because I didn’t feel like it was working. Maybe I didn’t give it a good chance. I have this in my makeup bag and keep forgetting about it. It looks like I need to get it out. Those are results I need. I’ve heard great things about ROC, but I’ve never tried it before. I’ll have to pick some of this up. Wow, you can definitely see the difference. I love reading posts like this with real results because it makes me trust the product more before I buy it! Wow! What a fantastic difference in the before and after. I need to look into this for myself. This stuff really seems to work! I can definitely see a difference. It’s so easy to add to the routine too! This sounds like a great product. I have a few areas I would like to work on. I plan on telling my sister-in-law about this product. Your pictures look pretty convincing! Some great photos to show the before and after. I think I need this… I am denial about my age but when I see photos… I think I could use this lol. wow! i can see a difference. you look great! This looks like a great product. I have a couple wrinkles I could use some help with. I’ve tried Retinol before and though I agree that it works, I find it too drying for my climate. If I space it out to be a few days between treatments it’s better. Very cool before and after. That is a great testimonial for the product. I have used Roc products before. I think I will try it again. Thanks for including your before and after. I’m definitely getting this for mom as a Christmas gift. This product seems compelling, potent, and effectual. I have heard about ROC, but I’ve never tried it before. My sister keeps telling me I need a better nightly routine! To be honest I think I would be too young to use this product. I like the results from yours and happy you gave it a great review! Wow ! This product does really work! Its so nice to see a product that really works. I could use a good skin cream. Thank you for sharing. Thanks for this amazing post, I will be trying this soon. Wow! You look awesome! I love the before and after pics! I need to get this!